Whether you specialize in digital content creation, 3D graphics, CAD, or visualization applications, Future Micro Graphics Workstations in Toronto, Canada featuring worlds best graphic accelerators from AMD Fire Pro, PNY Quadro and Nvidia Tesla. Our CAD, Graphics workstations deliver performance, quality, and stability for the most demanding projects offering latest PCI Express and GPU architecture. 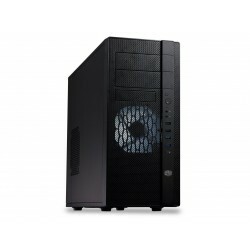 Maxwell Xeon E5 2650 Extreme GPU Graphics Nvidia Iray Workstation has been ..
Pascal i5 7600 Professional Graphics Workstation Powered by NVIDIA Pascal G..
Pascal i7 7700 Plus Professional GPU Graphics Workstation offers more power..
Pascal Xeon E5 2640 Performance GPU Graphics Workstation is carefully tuned..